Listen, just because Clubber Lang is one bad mother shut-yo-mouth, that doesn't mean that he denies himself some of the finer things in life. He enjoys the feel of satin against his skin like any normal human being, even if his favorite pastime IS pummeling Rocky Balboa with his fists. 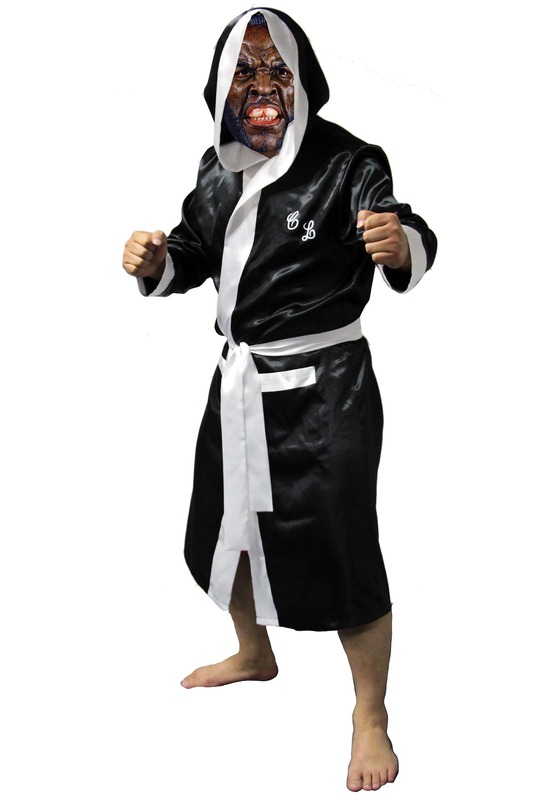 That's why he likes to wear his boxing robe. That silky smooth fabric does a lot for a guy in between matches and if it's good enough for a guy who can down Rocky in the 2nd round, then it's good enough for you! 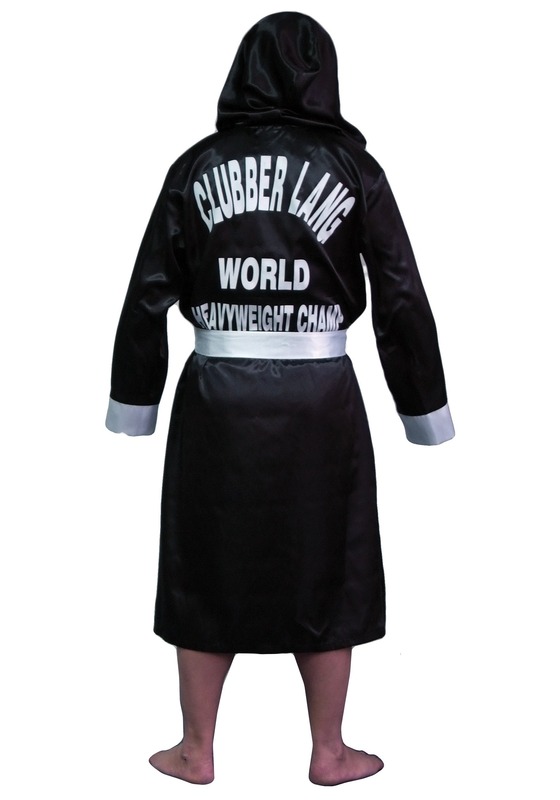 This Adult Clubber Lang Robe brings you the signature robe worn by the man with fists of thunger from Rocky III. Just like Mr. T's character, you may feel an overwhelming surge of self confidence when you wear this costume robe. It has Clubber's initials and white accents on the front as seen in the movie. Just remember that if you want to challenge the Italian Stallion, that you should probably do some intense training before you enter the boxing ring wearing this robe.